Keeping your bike secure while doing maintenance can often be difficult. This is why you should consider buying a bike rack to hold your bicycle in place so that it doesn’t move while you’re working. 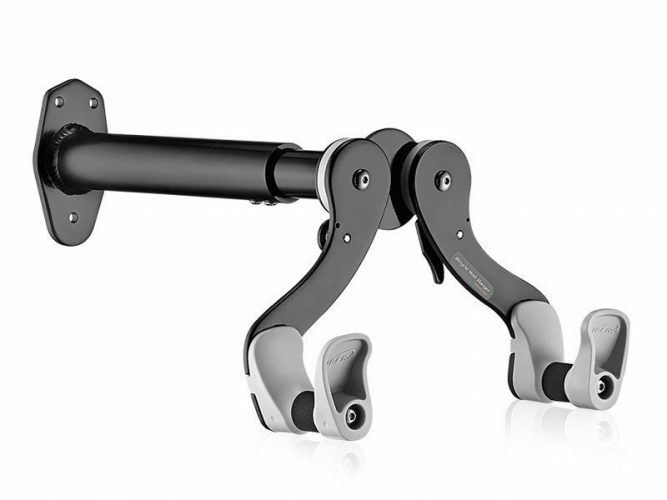 The Ibera IB-ST4 Adjustable Bicycle Wall Hanger is definitely one of the top bike stands you should consider. 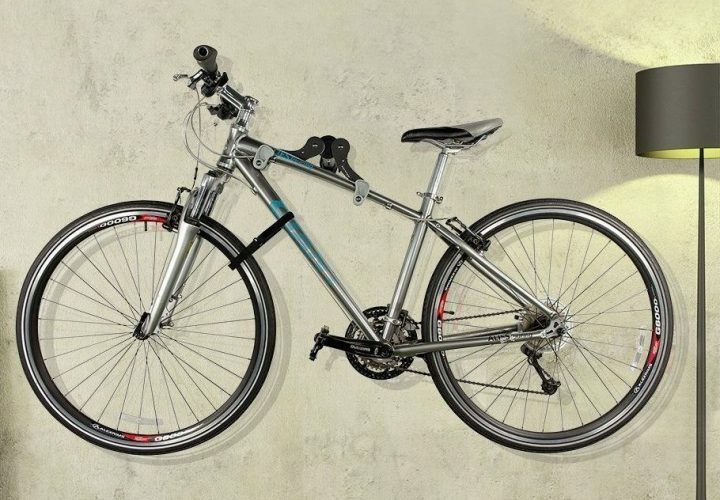 This wall hanger takes up almost no space and can fit a variety of bike sizes. That means you can do maintenance on almost any bike you want. It’s also a perfect solution if you’re simply looking for storage or a means to display your bike. Here are a few suggestions on what to look out for when buying a stand for maintenance as well as why the Ibera IB-ST4 is the best stand you can pick. Maintaining your bike is important in ensuring it will always work at peak performance. In order to do this, you’ll need a decent bike rack to make sure you can cover all the bases of fixing up your bike. Here are a few questions you should ask yourself before picking a bike rack for maintenance. When maintaining your bike you’ll need to clean the frame, pump the tires, tighten the chain and that’s only the beginning. The last thing you need is for your bike to come crashing to the floor while you’re busy working. In order to prevent any maintenance malfunctions, you’ll need to make sure your rack is stable. Although you might prefer free standing racks, it’s probably better to choose one that’s mounted to the wall. This will prevent any unnecessary movement throughout the process. The build of the rack itself must be sturdy. It’s important to choose a quality mount that will be able to withstand the weight of your bike without falling. Always check the rack’s weight guidelines as well the materials used to build it. If you’re simply using the rack for storage, it’s often a wise idea to keep your bike at eye level as this will save you space on your floor. You can even store your bike closer to the roof if you prefer. On the other hand, if you’re hoping to use your bike rack for maintenance, placing it at eye level will make the job more difficult. The problem with many bike racks on today’s market is that you can’t adjust the hanging height. For this reason, consider getting a wall hanger made for a single bike. These are often much smaller than racks so you can mount them to your wall at any height that you prefer so you have easy access for maintenance whenever you want. Does It Take Up Too Much Space? When choosing a bike rack for maintenance,you’re either going to use it when you work on your bike or it’s going to double as a permanent storage solution when you’re not cycling. In both cases, you don’t want your rack or your bike to take up too much space. This is particularly important if you’re working in your garage or even your apartment. Once again, this is why a wall hanger is a perfect solution. Because wall hangers are small and you can hang them wherever you like, you can choose to place them where they’re out of the way or take up the least amount of important floor space. Even if you’re not using your rack permanently, it’s ideal because it’s so small it will be out of the way. When using it to store your bike, you can mount it in a place where your bike won’t be in the way of your tools, cars or furniture. These mounts are also practical because they free up your floor space. The Ibera IB-ST4 is constructed using high-grade aluminum which means it will last a long time without breaking or bending. Its strong design also means it will support the bike’s weight while still remaining steady. On top of this, it’s able to withstand up to 39lb. This ensures your bike will remain stable during maintenance. This wall hanger is really small because the focus is on hanging a single bike. As a result, it can be set up wherever you like. If you want to use it for maintenance you can set it at a decent level to work with. Otherwise, you can mount it higher if you want to use it to display your bike. 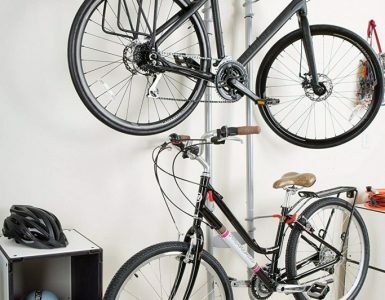 Indoor bike racks are wonderful ways to save space in your home. This bike rack is no different. There are no beams and rods needed to mount it, so it leaves your entire floor clear. 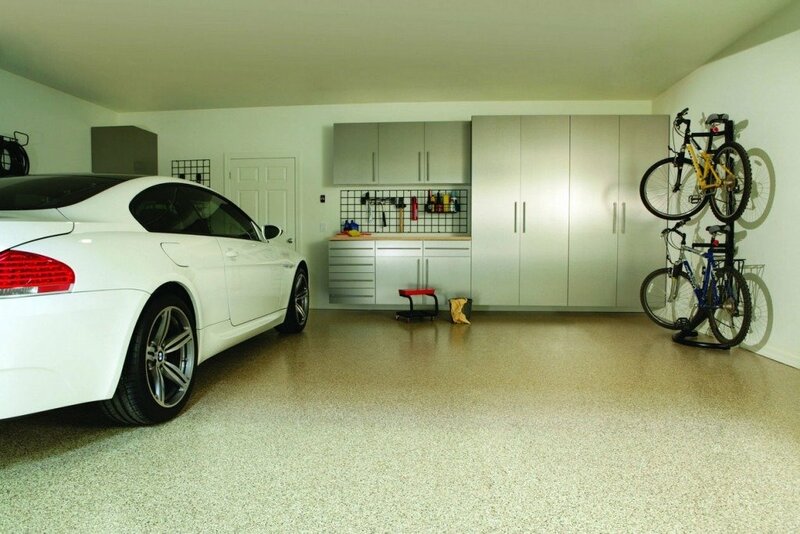 Because you can set it up wherever you like, it’s a practical way to maximize space in your garage or home. Once you experience these benefits you’ll know you spent your money wisely. The Ibera IB-ST4 is not only ideal for maintenance but is also a magnificent way to store or display your bike. Here are a few reasons why you should consider this bike rack. Not only can the height of the rack be controlled, but the beam is adjustable as well. 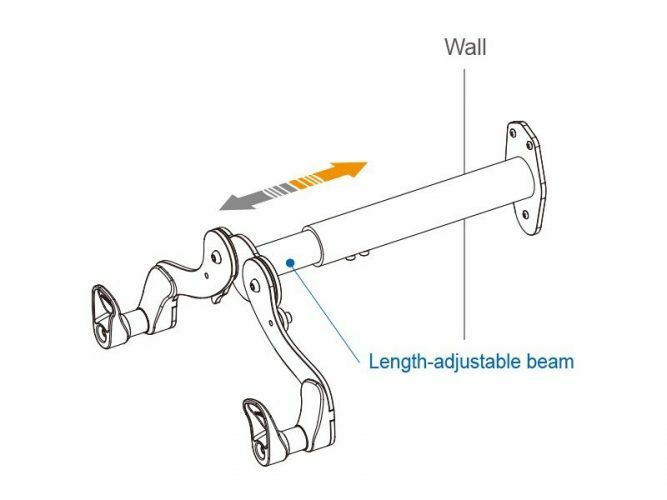 The beam can be adjusted from 8,5” to 12” in order to accommodate your handlebar. 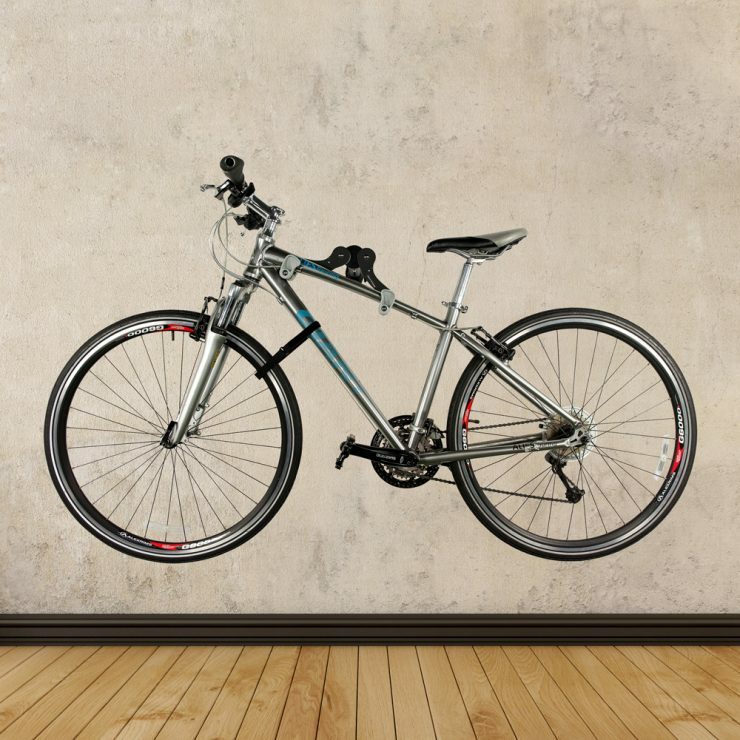 You can also use this feature to maximize space by keeping the bike as close to the wall as possible. 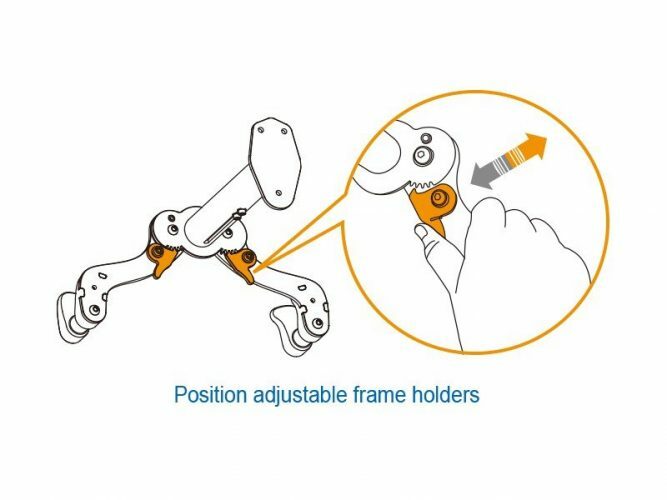 The frame holders can also be adjusted up to 45°. This is useful to keep your bike level no matter how tilted your frame is. You can choose at what angle you want to display your bike. As a result, it’s able to hold a variety of different bikes, from ones used for the road to mountain types or even children’s models. The wall hangers are padded with foam. This means your bike won’t be damaged while it’s on the rack. It also ensures your bike is held in place securely. If you’re concerned about your wall, the Ibera IB-ST4 also includes a Velcro strap that is tightened around the wheel and the frame. This keeps your tire from swinging while it’s on the stand which will prevent any scuff marks on your wall. It also helps to make the display a lot more impressive as your bike remains sturdy. The Ibera IB-ST4 is a spectacular option for the maintenance of your bike and because of its small size, it’s also great for storing your bike in your house. It will keep the bike out of the way even if you live in a tiny apartment. If you want to display your bike in order to show off your love of cycling, this stand allows you to place your bike high on the wall and still look stylish. There are no beams that will ruin the aesthetics. Why not consider hanging your bike above the fireplace? It looks impressive and is also an efficient way of storing your bike. 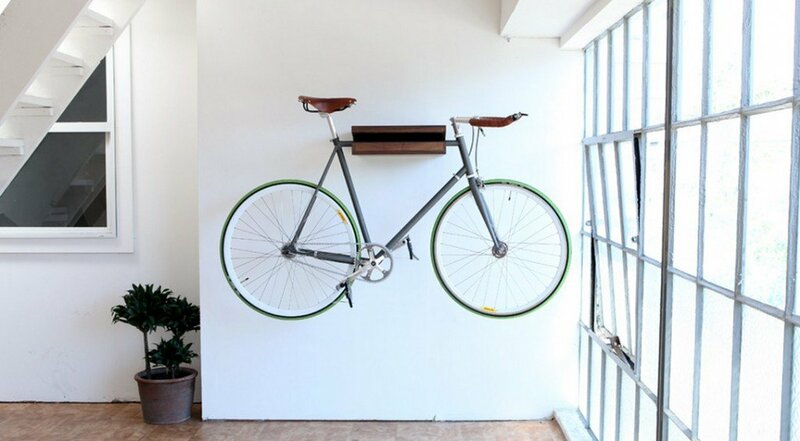 Not only is it useful for hanging your bike but it’s also a clever way to store your equipment. The hooks are suitable for helmets, bags and any other gear you want to keep out of the way. Pairing one of these with your gear and another one with your bike will create an interesting display that will impress any guests that come to your home. Keeping your bike stable while doing maintenance has never been easier. The Ibera IB-ST 4 has everything you could possibly need. You can mount it wherever you want, it doesn’t take up a lot of space and it will hold your bike securely. 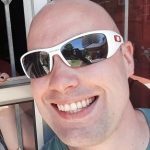 Rack Maven is a participant in the Amazon Services LLC Associates Program, an affiliate advertising program designed to provide a means for sites to earn advertising fees by advertising and linking to products on amazon.com.